FUTURE FOOD | Robot that can make your favorite cocktail? Robot that can make your favorite cocktail? Want to open a cafe that have its own robot to create its own cocktails or drink? Mixartista is your answer! 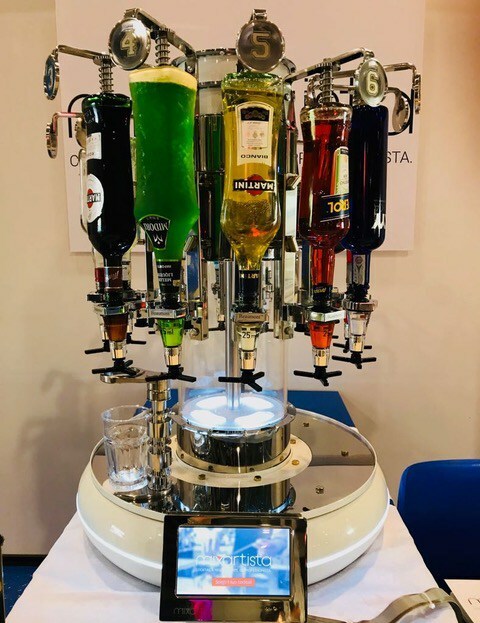 This cool machine allowed you to create your drinks and served it with robot. So you can just relax and wait for your drink to be served to you. This time our colleague, Chiara Cecchini, will interview the owner to talk about his background and of course about the product. He also got interesting background, let us share a tiny bit of his background. Dante D. Cruz, a Bolivian who fell in love with Italian culture after he did an cultural exchange in Sicily. Read the rest of story HERE!